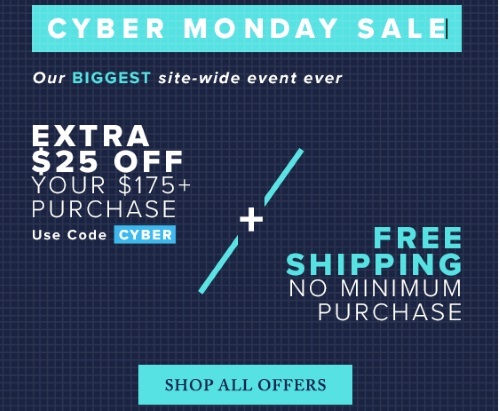 Hudson's Bay has a Cyber Monday Sale on today! Their biggest site-wide event ever! Get up to 50% off their Cyber Monday offers! Save an extra $25 off when you spend $175 or more with the promo code CYBER. Get Free Shipping on any order, no minimum purchase required.